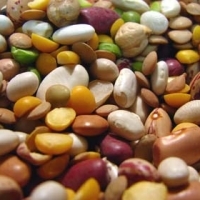 A consortium of East African institutes is researching new seed varieties better suited to dry areas to combat the effects of climate change in the region. The partnership, comprising seven universities and institutes in Kenya, Tanzania and Uganda, and funded by the Rockefeller Foundation, will also disseminate technical knowledge to agricultural extension services and farmers, and promote new insurance and financing schemes for building resilience to climate change. Heather Grady, a vice-president of the Rockefeller Foundation, said it is part of a US$150 million package for climate change and food security initiatives across Africa in the next four years. Speaking at a meeting with researchers at Makerere University in Uganda last month (4 July), Grady reported: “In May, through our grantees, more than a dozen varieties of four crop species – cassava, peanut, cowpea and sorghum – were released, most of them coming from Uganda, and the result of original breeding that made use of local germplasm plus specific traits contributed by material from the group institutions”. The partners will also offer technical training in germplasm, seed selection and climatology, and will disseminate knowledge on climate change. Researchers will work with farmers from mid-2012, engaging them in research developments and the creation and expansion of insurance schemes. Banks such as the Centenary Rural Development Bank in Uganda will offer insurance against crop failure and loans to farmers. Under the project, the poorest farmers will pay their insurance premiums by providing labour for disaster reduction and resilience-building on their land, while more prosperous farmers will pay the premiums in cash. Other options will be in place, such as farmers selling their livestock when drought sets in and buying later as the weather improves. Venansius Baryamureeba, vice-chancellor of Makerere University, said the partnership should be multi-dimensional and include disciplines such as food science and technology, and veterinary medicine, as well as agriculture. Isaac Kabongo, a climate change expert based in Kampala, cautioned that the initiative should be country-specific. “What works for one country may not work for another,” he said. Members of the partnership are Makerere University and the National Agricultural Research Organisation in Uganda; the University of Dar es Salaam and Sokoine University of Agriculture in Tanzania; and the Tegemeo Institute of Agricultural Policy and Development and the Kenya Agricultural Research Institute in Kenya.